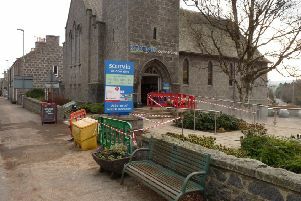 A teenager has been charged following an alleged assault near a Banchory supermarket. Police Scotland have confirmed a 14-year-old boy will be reported to the Youth Justice Management Unit after the incident in Leys Road, close to Morrisons, on Tuesday, February 5. Sergeant Keith Greig said the charge followed police viewing mobile phone footage.